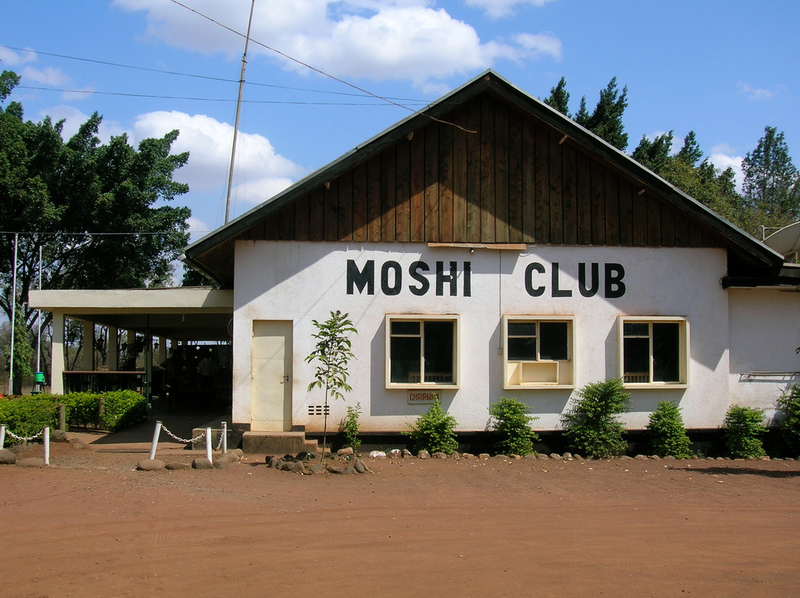 Moshi Club was established in 1920 and is built at the foot of the tallest mountain in Africa, Mt. Kilimanjaro . It is the golf course where one can see the great tourist attraction, the snow capped mountain a few degrees south of the equator, from everywhere on the golf course. The Moshi club Golf course is one of the oldest golf courses in Tanzania and features a 9 hole course (Par 35, 3.217 yards from the mens tees). The Moshi golf course is a property of the Moshi Club, which is a members’ social club. Currently the club membership stands at 100. The Club owns other sporting facilities like tennis and squash courts. The golf course is managed by a Committee of 7 members who are elected by the golfers. Presently the golf section has 40 golfers but out of these only 30 are active golfers. This first Golf course was closed in the late fifties due to the expansion and development of the Moshi Township. The present golf course is also within the Moshi Municipality and only about 4 km from the town center. It is accessible by tarmac road up to the main entrance gate into the club premises. While anywhere on this golf course one can see the great tourist attraction – the snow capped mountain (the Kilimanjaro) a few degrees south of the equator. We are fortunate that this facility is located at the foot of this Mountain which attracts a lot of trekkers from all over the world. It has nine holes with greens. The total length of the course is 6452 yards (out 3228 and in 3224) The par of the course is 71 and S.S.S the same. It is an interesting golf course with undulating fairways, a number of dog legs and many trees. The total area of the golf course is about 90 acres. It should be noted that improving this facility will go along way into complimenting the other tourist attractions in the Northern Circuit of the Tanzania Tourist Industry since visitors in this part of the Country will have an opportunity to enjoy a good golf course if they choose to do so. The Moshi Golf Club is an affiliated member of Tanzania Golf Union (TGU) which is an umbrella National Union established to oversee Golfing activities in the Country. There are no records available to show when golf was first played in Moshi. But the club was started in 1920 and the previous golf course which was situated where the Mawenzi Hospital and the Moshi Municipal Council Buildings are now, was probably laid out a few years after 1920. The Club was officially registered on 18th July 1935, and the first trustees were Oweson Allingham Flynn and John Logan Brown. The first Golf course had nine holes with browns. The first recorded major golf competition was the Golf Challenge Cup presented by D.G.Grant in 1930, which was won by T.P.S Dawkins and Mrs. A.Reid. The best course record is 68 gross and is held by both H.Mcquillan and A.Muir of Zambia. The record was made in 1968 during the Tanzania Open Championship which was held in Moshi. This record was broken by the current Golf captain, Mr. T Murage on 26/03/11 who played 64 net on handicap 12. This record was made on a regular week end fiddle. There is no consistent record on this and but we have currently decided to put up a course record board for posterity.